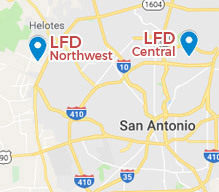 At Laith Family Dentistry in San Antonio, we will always do our utmost to keep smiles whole and healthy for a lifetime with preventive dental checkups and teeth cleanings in one of our two dental office locations. However, in some cases, removal is the best option to maintain oral health, and wisdom teeth are the most often extracted. 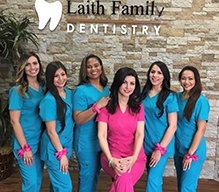 If you want to learn more about wisdom tooth extractions, call to schedule an appointment at Laith Family Dentistry on Shaenfield Road in the northwest and off of Nacogdoches Road in central San Antonio. Wisdom teeth are actually just a third set of molars that usually erupt in the late teens or early twenties. Because of their late eruption within the smile and improved oral health and hygiene making it possible for most people to keep their healthy, natural teeth for life, crowding is the main reason why wisdom tooth removal is necessary. Our ancient ancestors often lost one or more teeth by the time wisdom teeth emerged, but this is not typically the case anymore. For that reason, your jawbone will simply not have the space to accommodate a third set of molars. This lack of space can lead to impaction, inability of the tooth to erupt, and crowding that shifts teeth out of alignment. In order to avoid the potential concerns associated with wisdom teeth, we may recommend extraction. 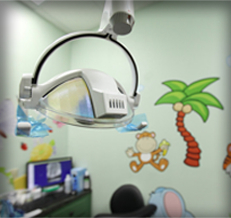 Around the age of 11, we will be able to see developing wisdom teeth. Your dentist will track the development of this third set of molars and provide recommendations to help you plan for wisdom tooth extraction when necessary. Do Wisdom Teeth Have to be Removed Surgically? In rare cases, we are able to remove a wisdom tooth by pulling. 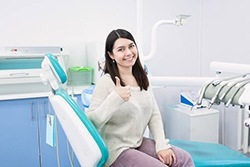 This extraction method is only possible when a tooth is fully erupted from the gum line, and the root system is easy to break free from supportive bone and gum tissue. In most cases, the lack of space within the jaw line and tendency toward impaction make it impossible for us to pull a third molar without any surgical intervention. 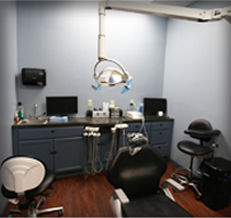 In our dental office, we have skilled dentists who have advanced training that allows them to offer oral surgery services in a general dentistry practice where you’re already comfortable. Surgical wisdom tooth removal may simply mean we need to make an incision in the soft tissue to reveal the underlying tooth structure. 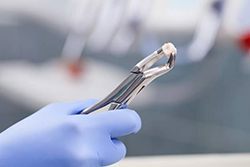 More advanced intervention may also be necessary, including breaking the tooth into smaller pieces and drilling into supportive bone structure to remove the damaged tooth. 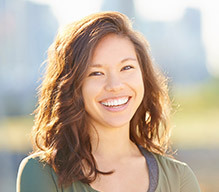 How do I Care for My Smile After Wisdom Tooth Removal? Immediately following the removal of one or more wisdom teeth, you will notice some swelling and inflammation around the extraction site. Use ice packs at 20 minute intervals to reduce this swelling, slow bleeding, and improve comfort. You should also take prescription or over the counter medications as directed, and even if you think you’re feeling better, keep taking these medications as directed for at least the first 48 hours to avoid unnecessary discomfort. 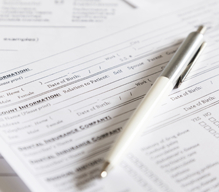 It’s important for you to take plenty of time to rest after your tooth extraction. Don’t lift heavy objects or perform other strenuous activities. Make sure to get plenty of sleep. For the first two days, stick to a liquid diet. Avoid using a straw as suction can cause your blood clot to break free, leading to painful dry socket. Then, begin eating soft foods like mashed potatoes or yogurt. Once you feel able to eat more difficult to chew foods, gradually reintroduce a wider range of foods, but take care to avoid chewing with the area around the extraction site. You can begin brushing teeth again after the tooth is removed, but you should wait a few days to reintroduce toothpastes and other oral hygiene products. About 48 hours after treatment, you can start brushing teeth with toothpaste, but take care to avoid the brushing over the extraction site. You should carefully use water to rinse any food particles away from the extraction site, but don’t apply too much pressure as you want blood clots to remain in place, allowing the extraction site to heal.